Hardware was the clear-cut theme of Day 1, but Demo Day 2 of Y Combinator’s Summer 2015 was a bit more… eclectic. Moving services! Streaming services! Hotel booking, augmented reality, esports! There was a little something for everybody today. Want to see every startup that pitched today? Here’s the full roundup. Gigster connects people with developers that will build applications. While this theoretically works for consumer-oriented services, the big target is larger companies that are building tools internally. The company builds common parts of application development like login and profiles, and can replicate that for multiple different apps and services. 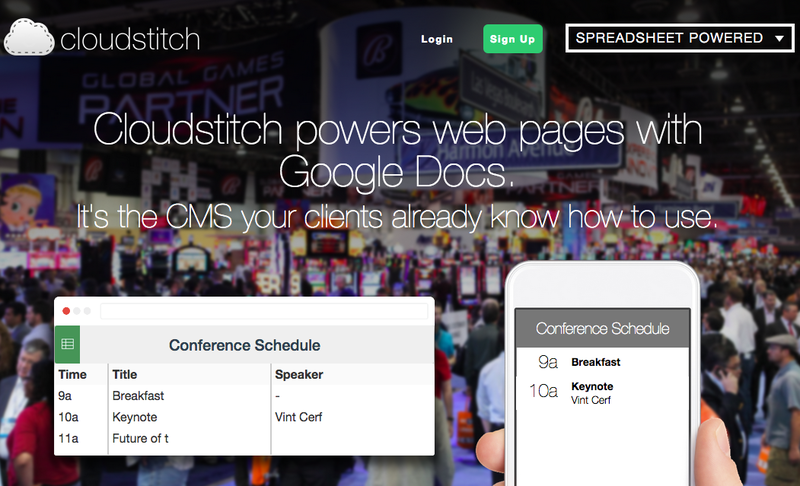 Read more about Gigster on TechCrunch. It’s a grocery warehouse and delivery company out of Dhaka, Bangladesh, the eighth-largest city in the world – and the densest, with 160 million people. Its pitch: traditional retailers can’t operate in cities like Dhaka; there isn’t space. 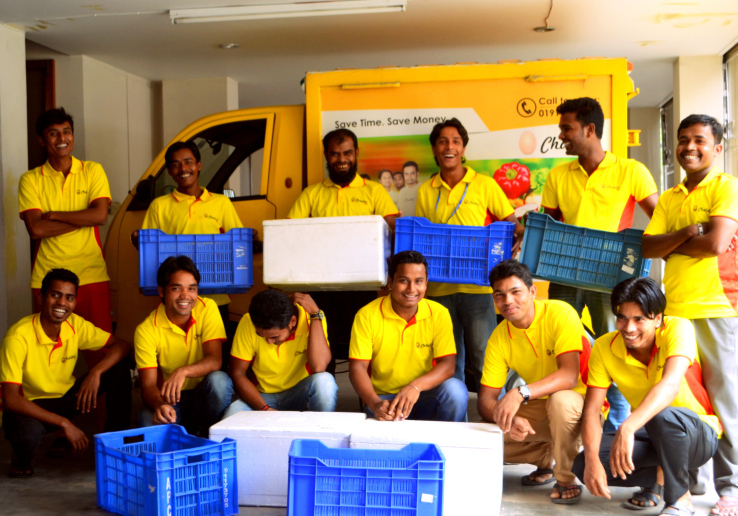 By building a string of “micro warehouses,” Chaldal thinks ensure that customers get a greater variety of goods and quickly — in less than an hour. The company has already built two, 7,000-square-foot warehouses that cost $250,000 each and that produce revenue of $3 million, it says. Going forward, it plans to create a string of these buildings, and to expand beyond groceries. A social network where lesbians can meet each other for friendship, advice, and more. The company says they have 80,000 active users, with 25% growth per week. | We covered Her on TC here. 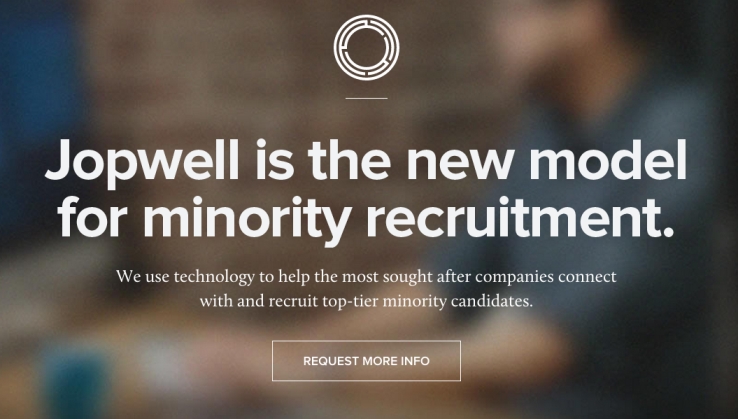 Recruiters say the number-one reason for lack of diversity is a lack of a diverse pipeline, which is what Jopwell seeks to build. The company has 6,000 students and professionals using Jopwell. The students self-identify as underrepresented ethnic minorities and are connected to companies like Facebook, Goldman Sachs and Pinterest. Jopwell says it has $346,000 in revenue and contracts in 3 months. Fonticons — is a subscription service for site creators wanting to speed up their sites by purchasing font “assets” that Fonticons promises can speed up download times by 90 percent and increase conversion in the process. It says 15,000 developers have already signed up to work with it service, that it’s working with typographers around the world who are selling exclusive icon sets through the service, and that its revenue was up 210 percent last month (though it didn’t say how much revenue that equals, or how much the company had made prior). The company also features a free service that let’s developers adorn their site with over 500 icons using only a line of CSS. Read more about Fonticons on TC here. SourceDNA monitors iOS and Android apps for security and quality issues by scanning their apps before they’re submitted to the store and through monitoring once they’re live. Their goal is to support the relationship between developers and the app stores they publish their on. They assure customers that they can get apps through the review process. So far, they have 3,000 developers signed up. 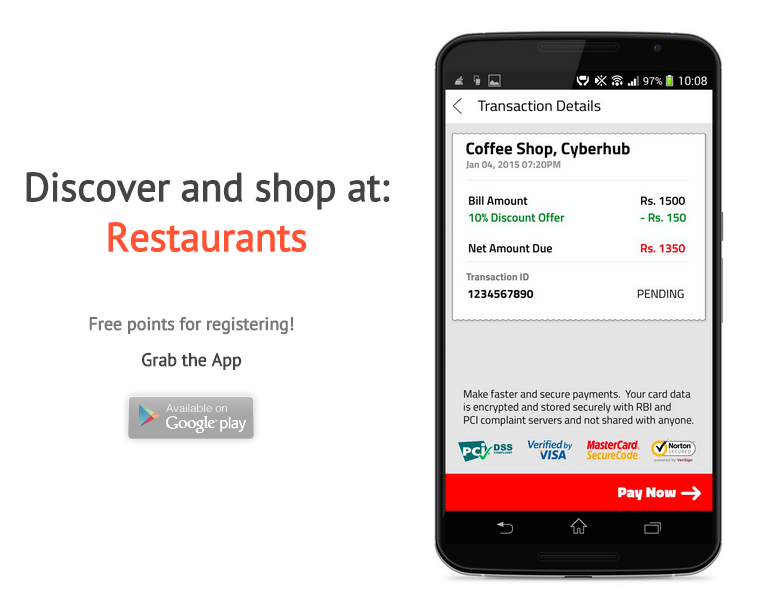 Helps customers find nearby products online and order them for pickup in-store in Mom & Pop shops throughout India. “Ninety percent of retail spend in India happens in local stores;” says RedCarpet’s founder “but there’s no real way to discover these products online”. They’re currently in 120 stores, and claim to have 6x revenue growth across the past 4 months. Using Gravitational, companies can take code on public cloud servers and deploy it on multiple private servers. Applications run as a service on private infrastructure, allowing sales to companies that require private cloud editions of their services. 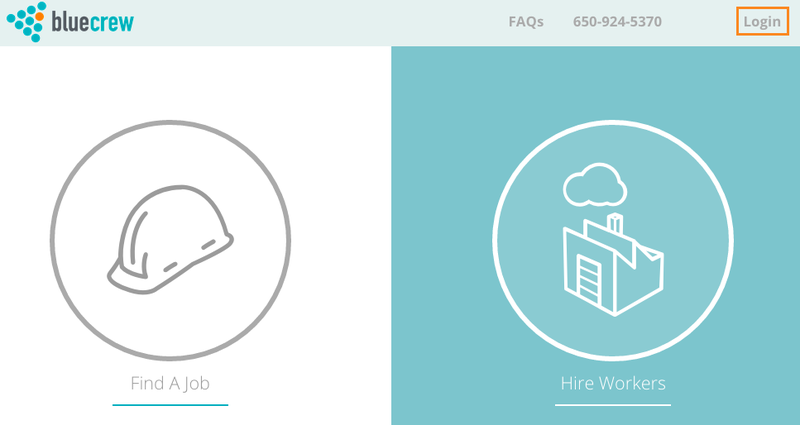 A recruiting service that’s focused on non-technical jobs and which uses job simulations to connect candidates with employers. (Think a hiring manager who observes a customer service candidate dealing with a simulation of an angry consumer.) The technology is powered by AI, says the company, and its five-month-old pilot program has already attracted 4,000 companies like Instacart, Thumbtack and Talkdesk. It also says its revenues have been growing 400 percent over that same period and that the market it’s chasing is valued at $8 billion. As for its part, it say there are 11 million job openings right now that fall into its sweet spot, and it plans to charge between $500 and $4,000 per month to employers looking to hire them. Read more about Interviewed on TC here. 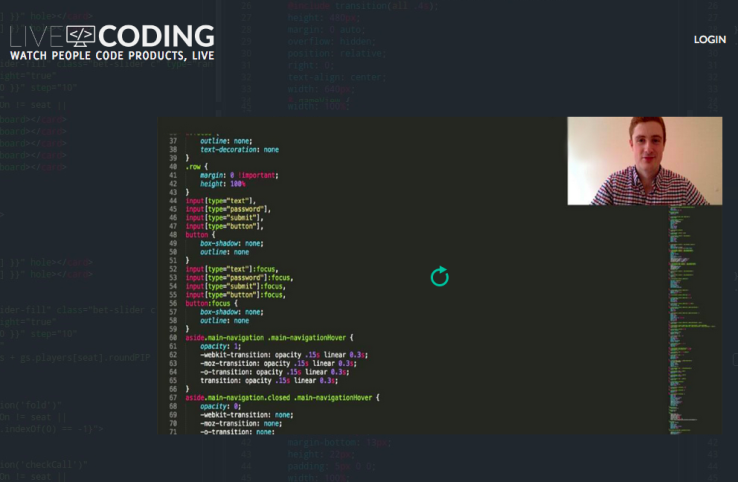 LiveCoding TV is streaming the work of programmers to live audiences. They say they’re targeting engineers that want to improve their skills and have signed on big names like Stephen Wolfram. They argue that the market for software development is $407 billion compared to $93 billion for gaming. So far, they have 73,000 registered engineers and 4,900 daily viewers. They’re in conversation with Red Bull and Intel for sponsorships and envision that recruiters will want to sponsor streams as well. Shotput helps companies quickly set up warehousing and fulfillment services. Shotput does not own any warehouses, simply connecting those companies with warehouse and fulfillment providers. 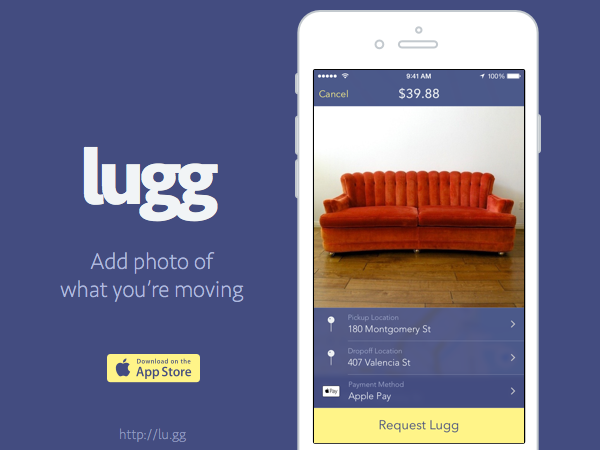 Users send code to Shotput and the company handles the rest of the process. Read more about Shotput on TechCrunch here. 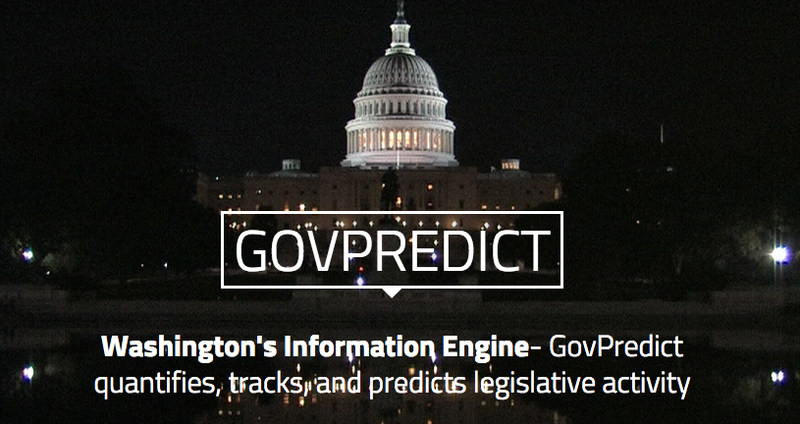 Unifies countless sources of government data in an effort to help people make sense of it all. They track lobbyist registrations/terminations, bill activity, and provide staffer contact for DC/District offices. Afrostream aims to be the biggest streaming service for African-American content in South America, Europe and Africa, where there are 1 billion underserved people who collectively represent a $15 billion market opportunity, it says. It has already struck deals with Sony, Netflix and others to deliver the programming that Americans take for granted, and it plans to launch in six countries that represent 40 million viewers next month. “While Netflix and Amazon fight for people in the West, we’ll be connecting people with content in the developing world,” it says. Read more about Afrostream on TechCrunch. 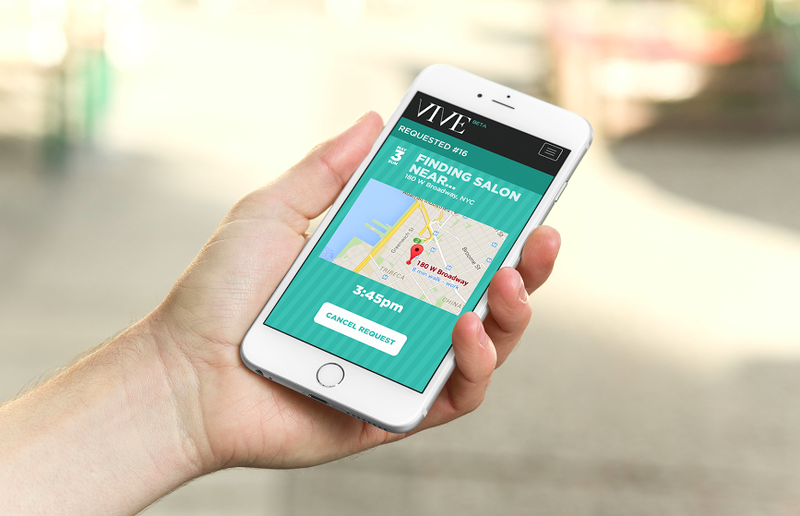 Right now, Vive offers unlimited hair blowouts in New York City, but plans to be an on-demand salon services appointments. Users book an appointment online — many salons use pen and paper — and find good providers. Vive basically serves as a connector between salons and potential customers. Read more about Vive on TechCrunch. 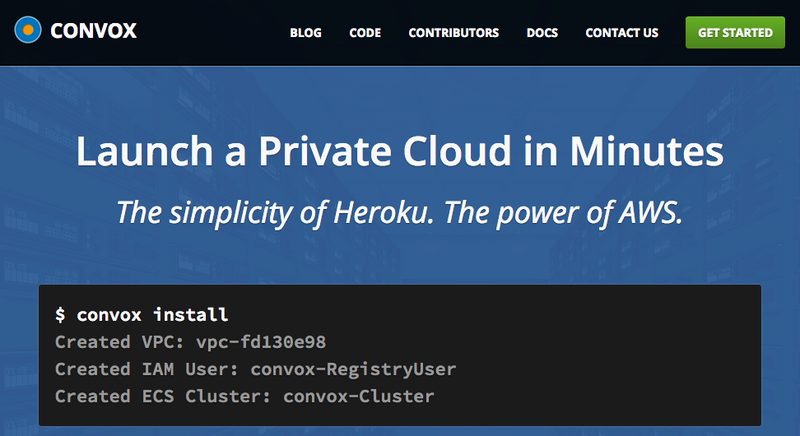 Convox is made of a bunch of early Heroku employees who are — guess what — trying to disrupt Heroku. They say that more than 50 percent of Heroku’s revenue comes not from running modern apps, but through their marketplace. They say that Heroku’s pricing structure is totally off, as the vast majority of customers never pay for anything, while the ones that do pay prices that are five times higher than what Amazon costs. Their conclusion is that Heroku’s model doesn’t scale. As applications become more and more complex, they become mountains of workarounds. The tendency is for them to abandon the Heroku platform. They say their total addressable market is worth $50 billion for cloud services. On-demand condom delivery. 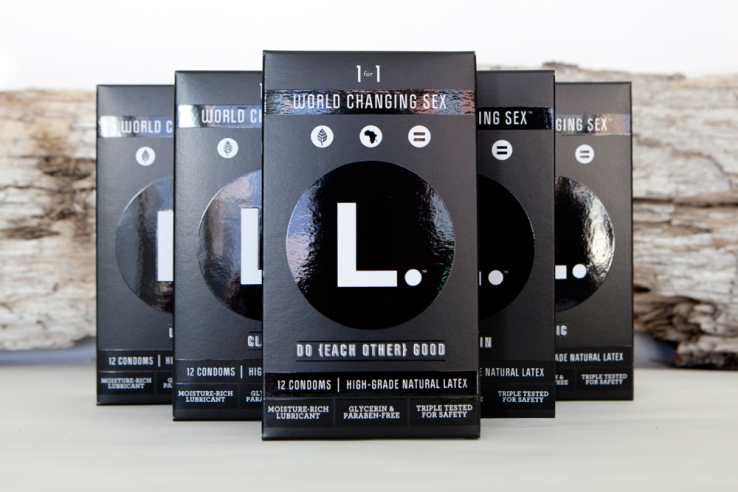 L. makes their own condoms which they claim have no latex smell, latex taste, and no skin irritating chemicals. Their claimed profit margin is 94%. They’re already in roughly 1000 stores, with plans to be in 8,000 stores in Q1 of 2016. Read more about L. on TechCrunch here. 80,000 hours aims to help people figure out how to focus their time and career effort to do the most good. Would you do more good by volunteering your time, or working a paid job and donating a percentage of your income? They create career guides and quizzes that help people figure it out. Read more about 80,000 Hours on TC here. Every year, the number of computer science graduates grows by 30 percent and no wonder. As software eats the world, every company on the planet will need programmers eventually. 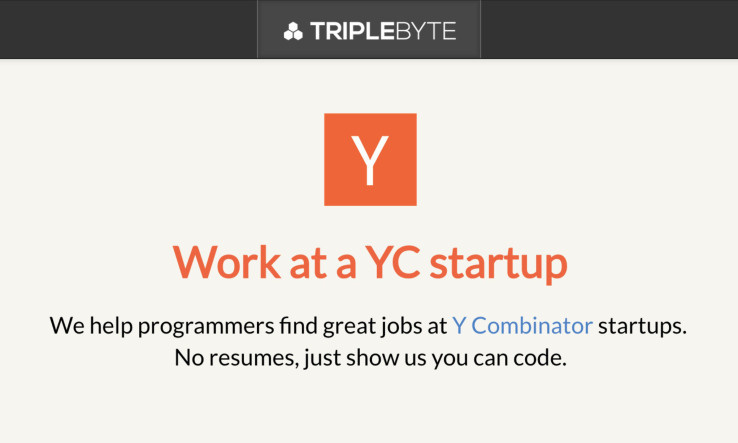 Triplebyte, co-founded by former Y Combinator partner Harj Tagger, says it has developed software and an ever-improving checklist that allow the company to screen many of them quickly and profitably. The company takes 25 percent off the top of every new hire’s first year salary; with the CS hiring market currently at $20 billion a year, according to the company, those numbers can add up fast. Read more about Triplebyte on TC here. Roomblocker is trying to solve group hotel booking, which accounts for 25 percent of all hotel nights in the industry, or 2.35 billion nights per year. Typically, these are handled by agencies while most online travel agencies cover individual reservations. Event planners and groups haggle over these reservations through spreadsheets, while on the sales side, hotels aren’t optimized for handling group book revenues. So far, Roomblocker has booked 1,300 room nights across 20 cities and is growing by 80 percent every week on average. 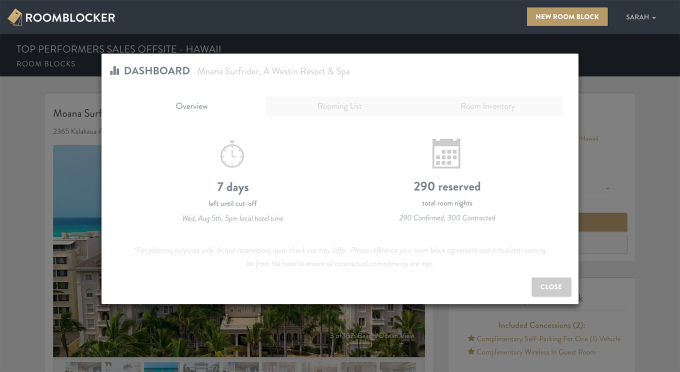 Hotels pay Roomblocker a 10 percent share for every room they fill. Read more about Roomblocker on TC here. Gemnote sends handwritten cards and custom gifts for companies in the U.S. The gifts are supposed to be thoughtful, personal and things people want to keep and remember. 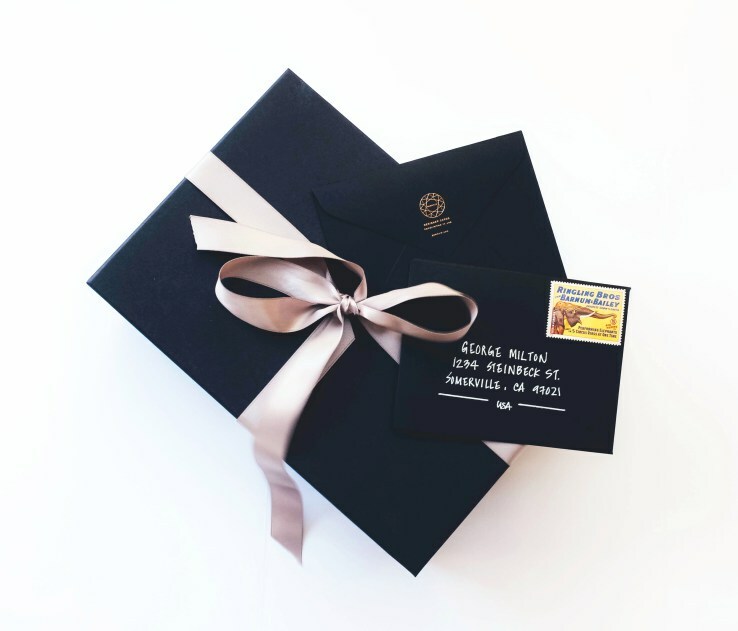 The company designs cards based on the brands, and personalizes each gift. Gemnote has an annual run rate of $572,000 working with 30 companies, they said. Read more about Gemnote on TechCrunch. Cloudstitch, which officially launched in June, is taking on the “huge, broken” space of content management systems, which, despite their ubiquity (46 percent of today’s websites rely on them), aggravate most users, particularly those who can’t update them without some technical support. (That’s most of us.) Its solution: tech that allows sites to create simple web and mobile apps with just HTML/CSS and Google spreadsheets.The HTML provides the interface, and the spreadsheet provides all the data. It’s the “best way for developers to build or update a site,” it says. It’s also a lot easier for non-technical users. Maderight connects apparel factories and designers to potential customers, sidestepping the need to set up logistics and manufacturing. Customers send designs to Maderight, and the company basically makes sure it’s made and delivered on time. The company has more than 40 active clients after launching three months ago placing $6 million in orders every year, and Maderight takes 10% of every order. Read more about Maderight on TechCrunch. 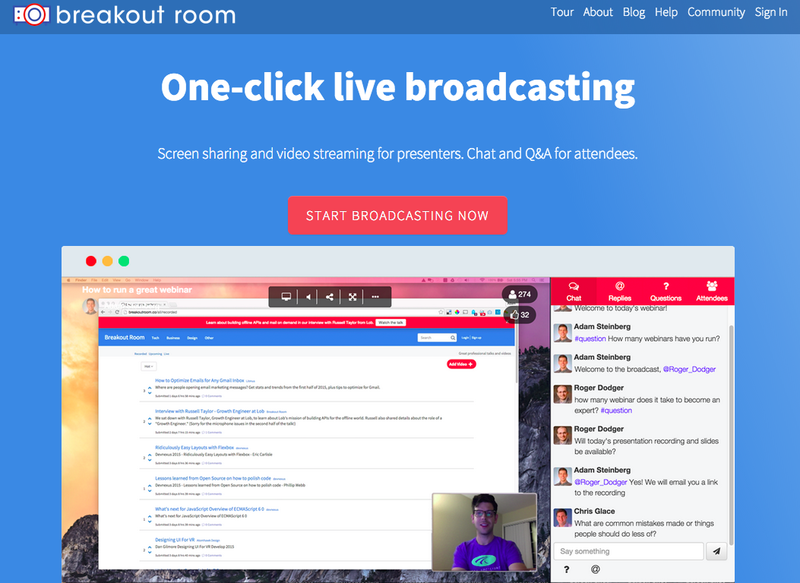 Aiming to replace tools like GoToMeeting and WebEx, they’ve built a one-click broadcasting and webinar tool. No software to download or anything to install, and provide your webinars as recorded content to be viewed after the fact. They say webinars are a $2.5 billion market. Paribus is going after the difference between what consumers spend and what they could be saving with each online purchase that later goes on sale. It’s a difference that many stores say they’d be more than happy to give back but that most consumers don’t bother with, leaving $10 billion on the table each year. By giving Paribus access to their inboxes, where it tracks receipts and prices, it becomes those users’ advocate, getting them money back and taking 25 percent of the money saved. (And, oh yeah, it’s building a massive database of competitive prices and shopping behavior in the process.) 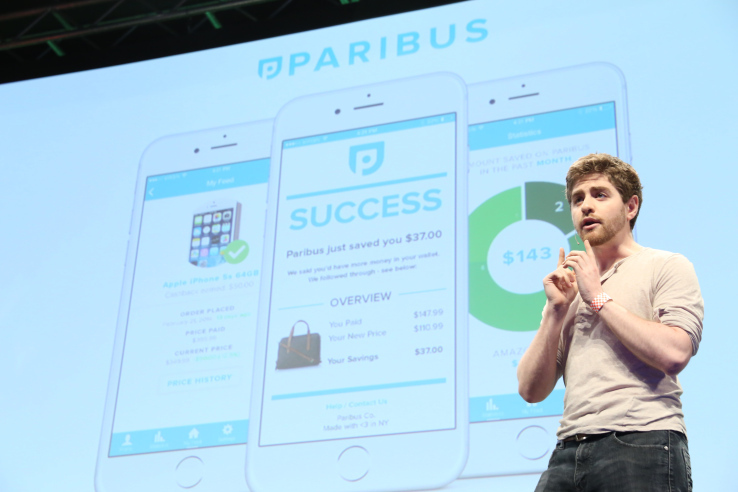 Read more about Paribus on TechCrunch here. Instant esports is a one-stop site for scores, news and statistics for esports teams. These kinds of statistics, as well as team news, are difficult to follow, making this an ESPN for esports of sorts. The founder spent time as an esports commentator. 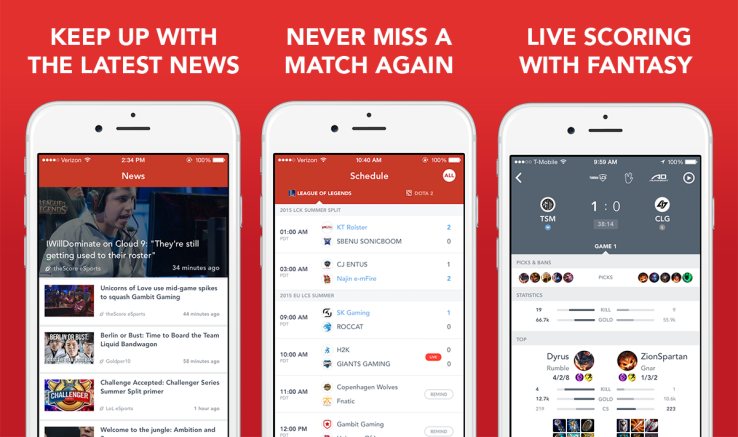 Read more about Instant esports on TechCrunch. Bitmovin is providing over-the-top streaming technology and server encoding systems. They say the industry loses $10 billion per year in lost or bogged-down video advertisements. 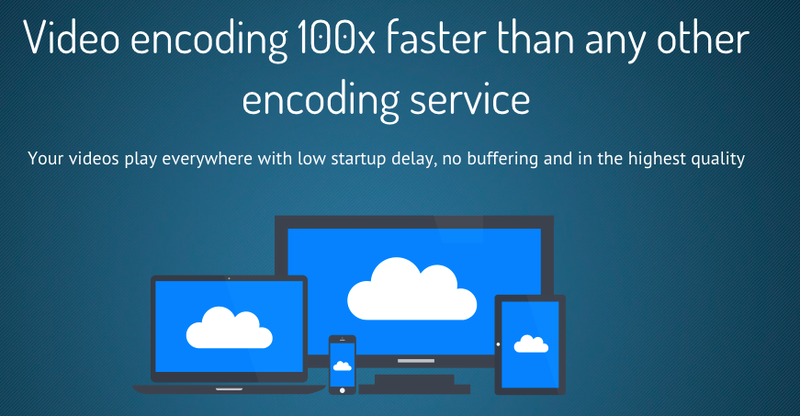 They have created a better MPEG streaming technology, say they can encode videos 100 times faster than any other competitor, and have $30,000 in recurring revenue. Crowdfunding platform to help turn tent cities (particularly those that pop up after natural disasters) into sustainable communities, connecting would-be donors directly to families in need. 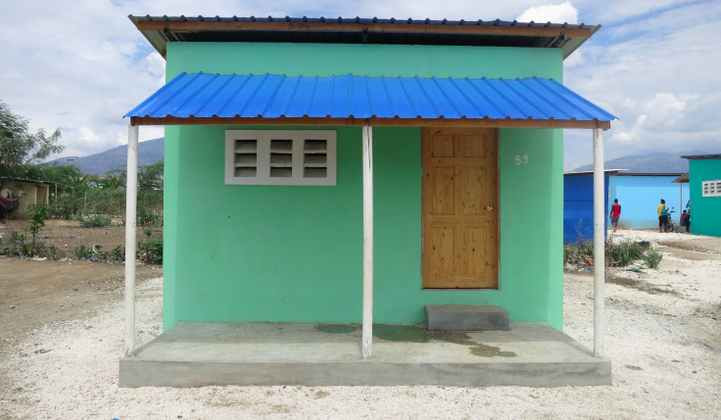 In 2 months, they’ve built 87 homes. One of S15’s non-profit organizations. Read more about NewStory on TechCrunch here. Harassment, scams, credit card fraud and spam are becoming bigger problems by the day. Fully 70 percent of new social network accounts are started by spammers, 50 percent of teenagers report being harassed online at some point, and roughly $3.5 billion is lost to fraud each year. 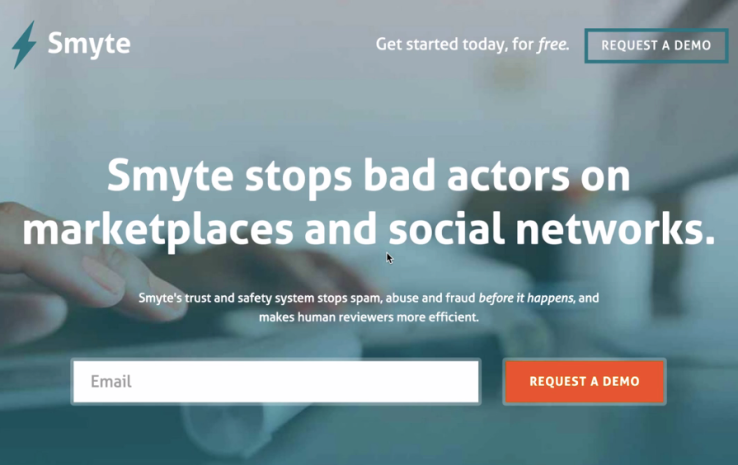 Smyte, started by Julian Tempelsman, who previously fought fraud for Google Wallet, say Smyte’s anti-spam and anti fraud programs can stop potentially malicious activity before it starts via a line of code that developers can add to any site or mobile app and which will pick up on funky behavior based on signals and relationships. Read more about Smyte on TechCrunch here. 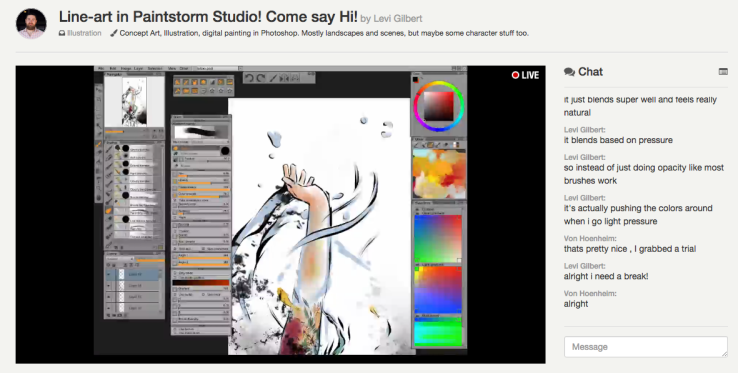 Twitch for creators, basically — livestreaming for illustrators and animators. There are more than 100 million digital artists that, like gamers for Twitch, could have an opportunity to make additional income by live streaming their art sessions. Artists can also sell their art through Sywork. After launching four weeks ago, the company had 30,000 unique viewers. Read more about Sywork on TechCrunch. 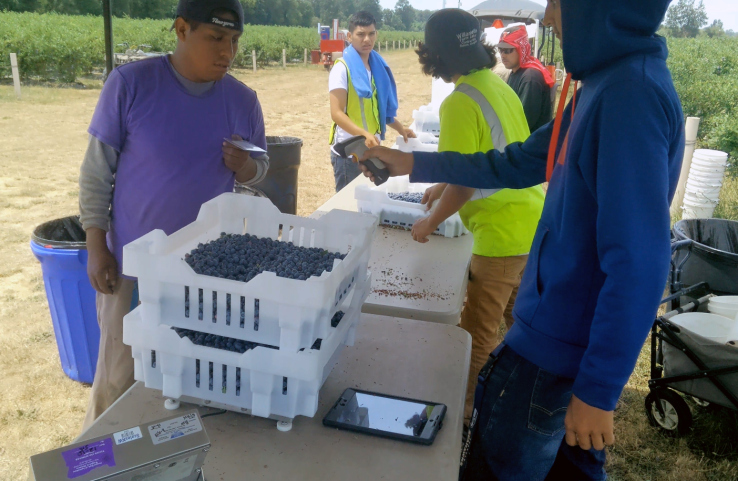 Picktrace’s founders grew up on farms and they became familiar with the problems of analyzing yields or managing hundreds of seasonal workers. There weren’t proper online tools to collect and analyze yields. There was no data to make informed decisions. So they wrote software to solve all of this. They track time, attendance, harvest data and crop yields. Their data has allowed client farms to increase yield by 15 percent. So far, they’ve grown 50 percent month-over-month over the past three months with $100,000 in sales. With more than 200,000 farms in the U.S., they say this is a $2 billion market. Go to ScentBird, take a quiz, and they’ll send you a “personal fragrance recommendation” for $14.95 a month. They currently have 11,000 active subscribers, and are currently profitable with a $1.9M run rate. 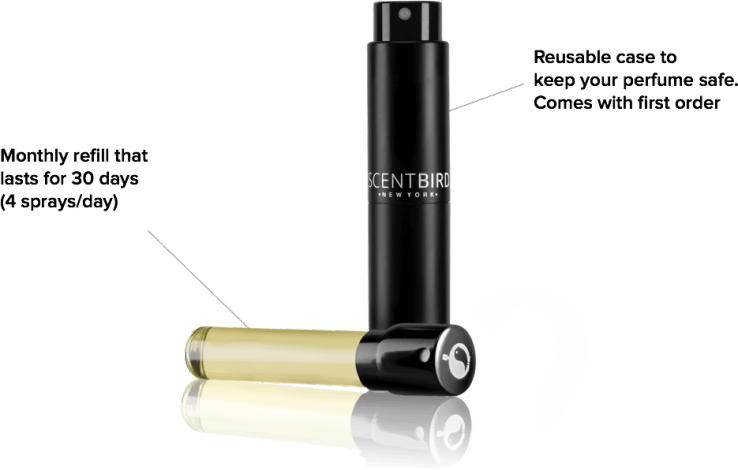 Read more about Scentbird on TechCrunch here. They build an easy to roll out multiplayer backend for games — the chat, social, and multiplayer networking that often takes “up to 18 months for developers to build themselves”. They have 400 developers from 40 different studios signed up; they expect to be hosting 6M monthly players by next year. They charge developers 2 cents per play session per month. BlueCrew is a temporary staffing agency for service jobs, one that treats its workers as W2 employees.The industry it’s pursuing is massive. According to BlueCrew, staffing agencies see gross profits of $25 billion each year. But they also spend $21 billion on screening, matching, and dispatching employees. BlueCrew thinks that by working with students, single parents, and other people who want a flexible but ongoing relationship with the company, it can cut those costs to zero. Read more about BlueCrew on TechCrunch. 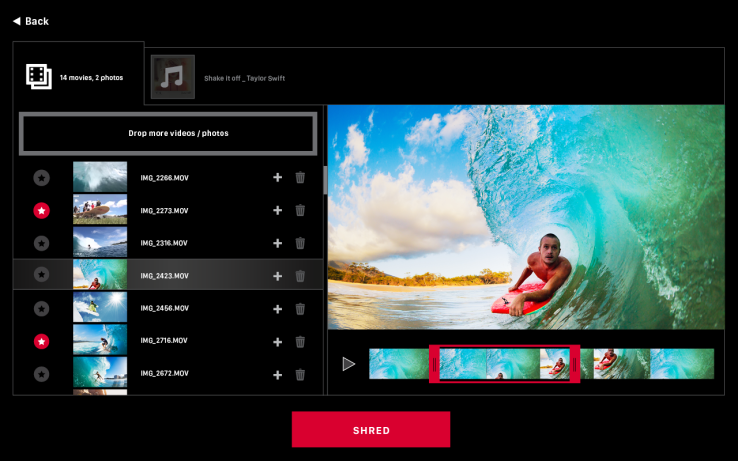 Shred Video is a way to stitch together videos from drones and videos, and lets users add video and create a video with minimal effort. It does all that stitching together using machine learning to find the best elements of the video and synchronizing audio as well, the company says. There’s also a network where those videos will be sharable. Shred Networks hit 20,000 users in two weeks, the company said. Read more about Shred Video on TechCrunch. 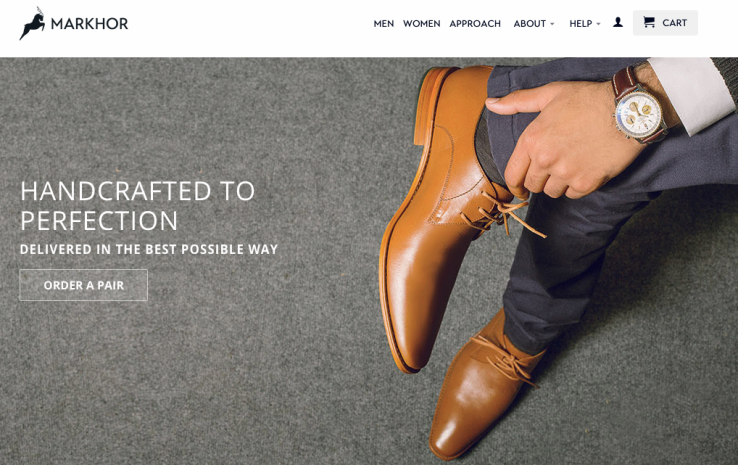 Markhor connects expert shoemakers in Pakistan with customers while removing the middleman (who, according to the company, generally take up to 80% of the cost of a shoe). 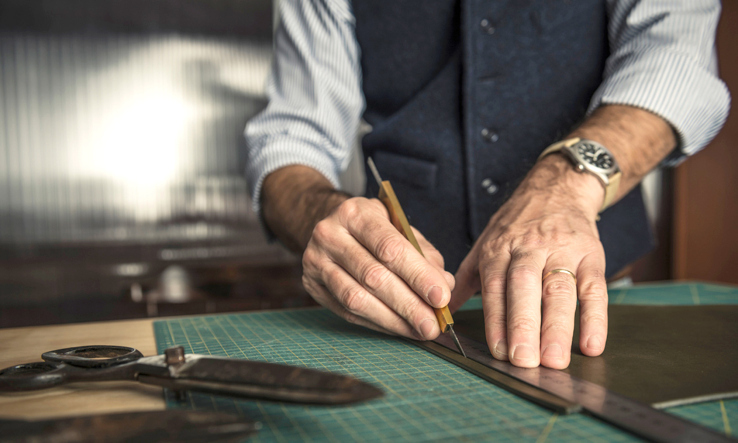 They promise custom, handmade, high-quality leather shoes for $300, shipped within 5 days. Read more about Markhor here. Built by a founder who has run over 400 events himself, TicketFairy allows event planners to offer rewards for getting their friends to attend an event. It also provides demographic data, sales data, and ad management tools for the event promoter. 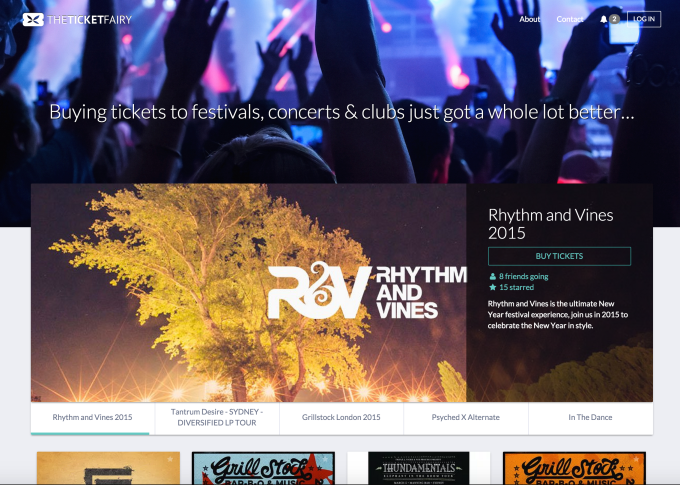 Read more about TicketFairy on TechCrunch. There are 224 million people in the U.S. who are overweight or obese, and they spend $60 billion annually on weight loss products. PlateJoy wants a piece of the pie, by creating customized grocery orders and recipes that enable its customers to prepare healthy meals each week that match up with their likes and dislikes. Roughly 80 percent of diets fail, says the company. 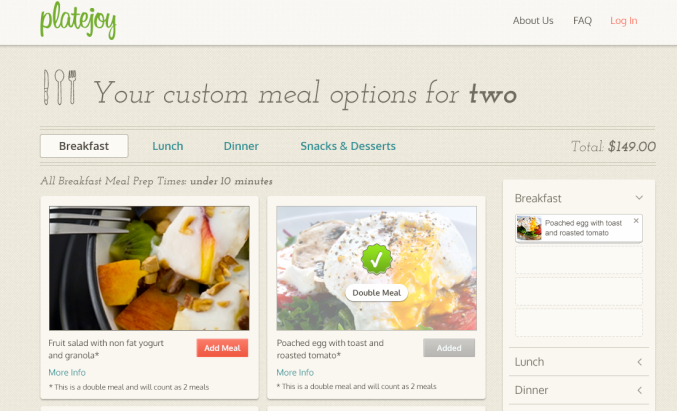 PlateJoy’s personalized, healthy-eating subscription membership aims to make it effortless for them to succeed. Read more about PlateJoy on TechCrunch. Mimir is software that automatically grades students’ work, while identifying struggling students, identifying plagiarism, and producing analytics for professors and departments. The company is basically an answer to the limited ability to scale up computer science programs at universities and the limited effectiveness of MOOCs. TenantTurner markets rentals on “dozens of sites”, and handles the vetting of potential renters before facilitating a viewing of the unit. 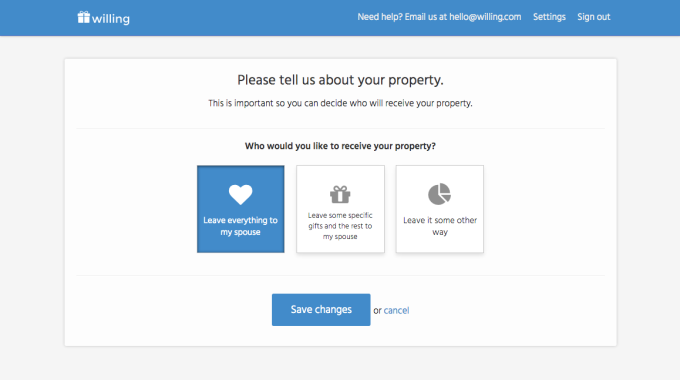 Within 4 months of launch, they’re helping landlords who oversee over 7,000 units. 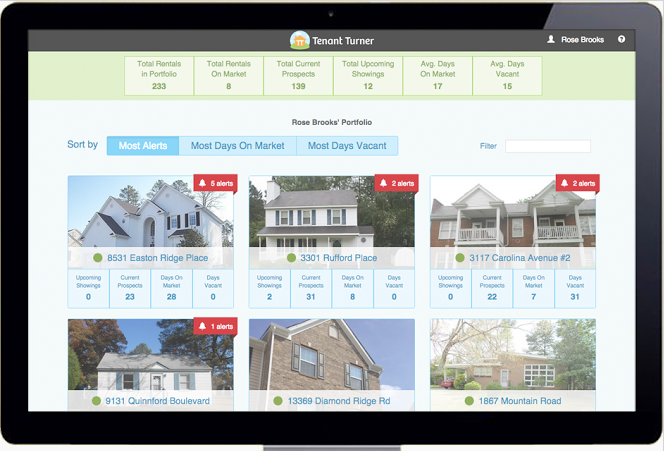 Read more about TenantTurner on TechCrunch here. McDonald’s has become a huge business in part by getting its food costs down to a science. Most restaurants are clueless comparatively, buried under mounds of invoices that they have to manually type into their accounting software (if they even have it). 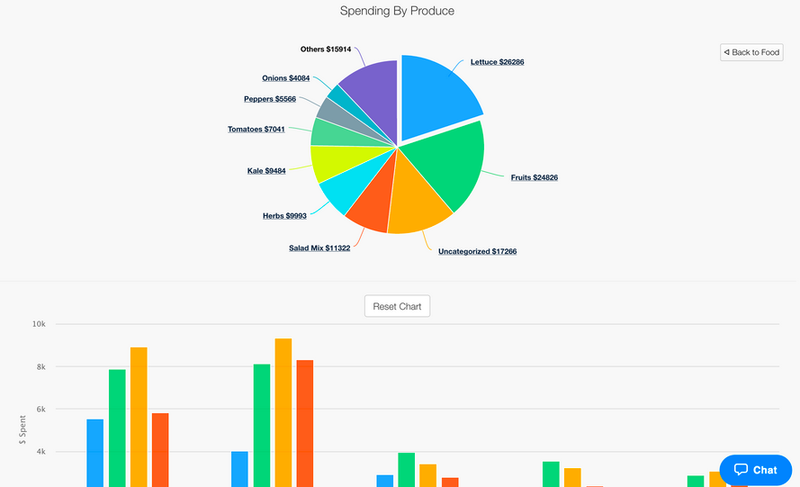 Plate IQ promises to help those restaurateurs get costs under control by taking a photo of their invoices, digitizing them, then analyzing them to provide valuable insights into how to order from their distributors more efficiently. Read more about PlateIQ on TechCrunch. Eden provides on-demand IT service for consumers and businesses. Homes and businesses can order on-demand technology service to come deal with issues. That’s important given that more homes have more devices, and business services are increasingly moving to cloud servers — limiting the need for on-premise IT professionals. 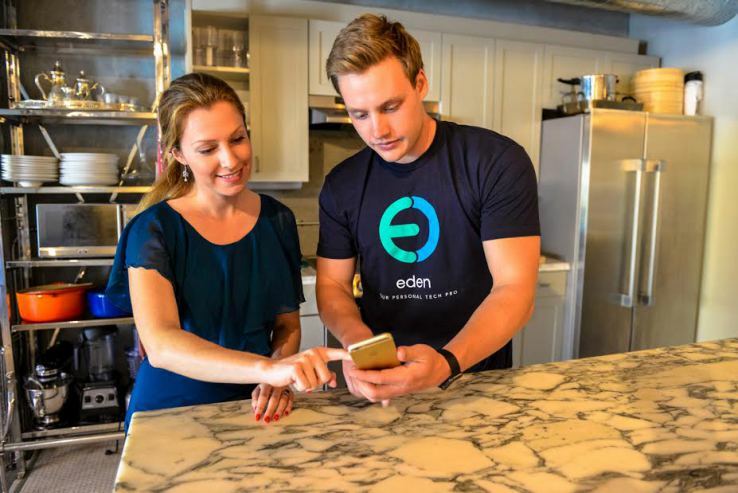 Eden has a $1 million run rate after 8 weeks, with 35% gross margin, the company said. Read more about Eden on TechCrunch. 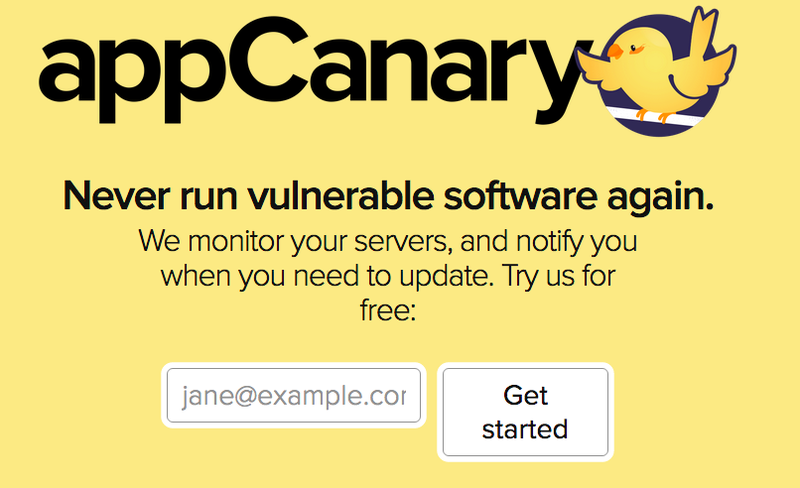 AppCanary monitors your servers and lets you know when you might be running vulnerable software. They argue that most hacks don’t come from sophisticated attacking strategies. Hackers aren’t looking for unique flaws. They’re looking for the latest vulnerabilities that arise simply because companies don’t update their software. AppCanary says that startups often hire people to monitor Twitter and Hacker News for new security vulnerabilities or even build their own monitoring systems at expensive cost. AppCanary does this for them. They’ve been live for less than 1 month and have already recruited 50 companies. They’ve signed up $10,000 worth of monthly recurring revenue contracts and have fixed 2,000 vulnerabilities. 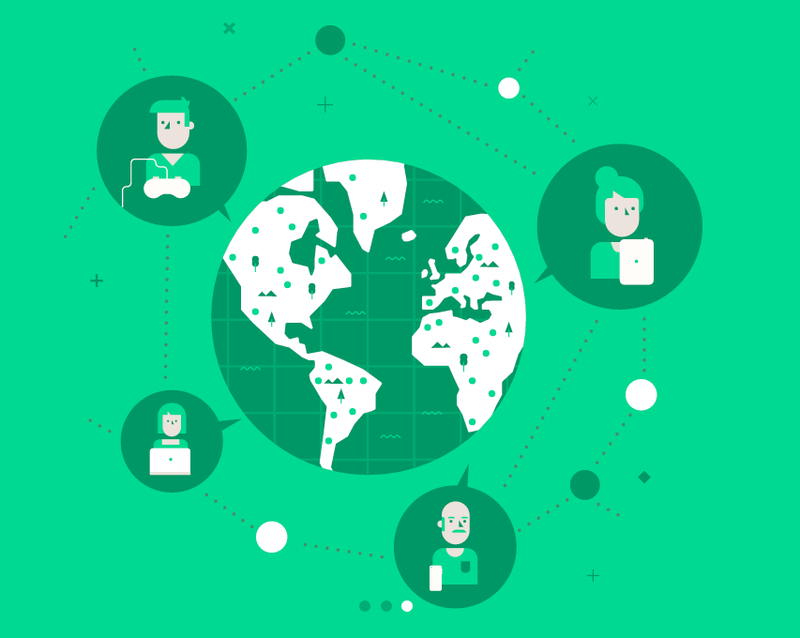 Bizzy.io — Analyze your customers. Hooks into your existing e-commerce site and provides customer analysis and automated marketing tools. Pricing scales by the number of subscribers you have; at 1,000 subscribers it costs $10 a month. At 50,000 subscribers, it costs $240. Instawork wants to tackle one of the biggest pain points for small and medium-size businesses: hiring, and keeping, qualified employees. 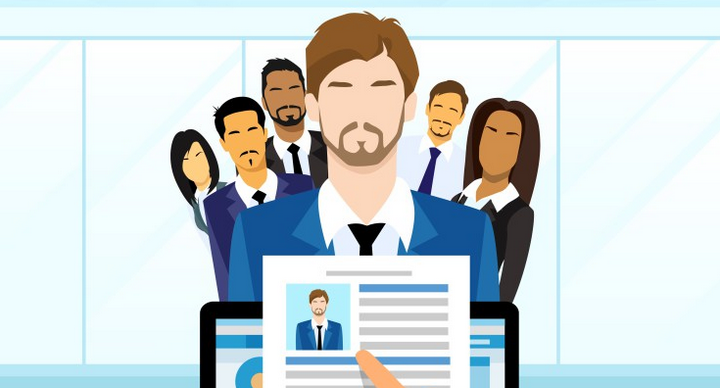 Many don’t have time to post jobs, sift through resumes, or schedule interviews. Instawork says it streamlines the process using its tech, which enables employers to list a job and find quality candidates within minutes through a desktop app and, soon, a mobile one, too. As for revenue, the company is paid $100 per successful hire. A nonprofit that takes best practices for how to build resilient teams and make them available for founders in the form of workshops for free. They range from communication, providing feedback, among other positive activities. The goal is to help startup employees basically stay happier and help companies better retain employees. The final two companies of the day were noted as being “off-the-record”, as they aren’t quite to launch publicly.